New York City is an internationally diverse city, and Queens New York is the city's culturally diverse bedroom community. In this New York City borough find people of Greek, Italian, Irish, African, Asian and Hispanic backgrounds. The activities in Queens are equally diverse. On a visit to Queens, one can enjoy a meal at a multiethnic restaurant, learn about the history of motion pictures, view the works of famous artists, have a drink at an Irish pub, visit the museum of a music legend or enjoy a professional tennis match. Queens neighborhoods include Astoria, Corona, Flushing, Jackson Heights, Long Island City, Rockaway and Woodside. Astoria is the location of Greek culture. Located on Queen's northwest corner, Astoria is characterized by Greek restaurants, busy shops and residential row houses. 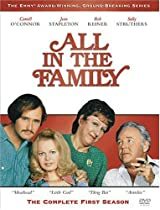 Queens is was the setting of the 1970s CBS sitcom All in the Family about Archie Bunker and the Bunker Family. Queens is also the location of New York City's two international airports, JFK and LaGuardia. The Museum of the Moving Image in Astoria preserves cinema and cinematic history. It contains movie artifacts such as Charlton Heston's chariot in Ben Hur and Yoda the Puppet from The Empire Strikes Back. 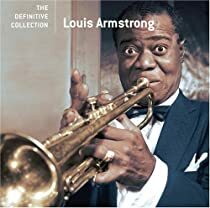 Corona, the Italian community is also the home of the Louis Armstrong Museum. 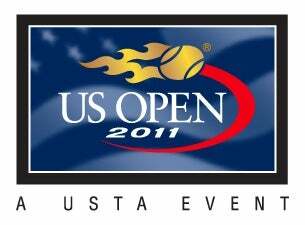 Flushing is the location of the USTA Billie Jean King National Tennis Center where the US Open Tennis Tournament takes place and the location of Citi Field home of the New York Mets. The USTA Billie Jean King National Tennis Center and Citi Field are located in Flushing Meadows-Corona Park. Other attractions in the park include New York Hall of Science, Queens Botanical Garden, the Queens Museum of Art and the Queens Zoo. Flushing, home to New York City's second largest Chinese community, is also characterized by Asian cuisine. To sample cuisine from multiethnic restaurants, visit the garden community of Jackson Heights. To view works of art by artists such as Andy Warhol, Robert Rauschenberg, Cy Twomly and Kiki Smith, visit Fisher Landau Center of Art in Long Island City. The beach community of Rockaway is on the southern most part of Queens and features miles of sand and surf. Called The Rockaways by local residents, this area is a part of the Gateway National Recreation Area. Jacob Riis Park in The Rockaways is the site of the annual New York Kite Festival. Woodside is one of Queens' most diverse communities. There you will find Irish pubs, Hispanic theater, Zarzuela shows, music and dance. A highlight of a visit to Woodside is enjoying a Guinness at an Irish pub. Admission to Museum of the Moving Image, New York Hall of Science, Queens Museum of Art and the Queens Zoo is included in the purchase of a New York Pass.